.Irish Versus .Ie Which One Is Better? In 2017, nearly 40,000 new domains were registered in Ireland. That’s your competition, but this doesn’t have to stress you out. Today we’re going to be exploring which domain extension is right for your business, to ensure you stand above your competition and move forward with pride. Each comes with its own benefits in targeting your market region, so the real question is when it comes to .irish versus .ie which comes out on top? A truly great domain name should sponsor your product, service, or market without costing you a significant sum of cash. 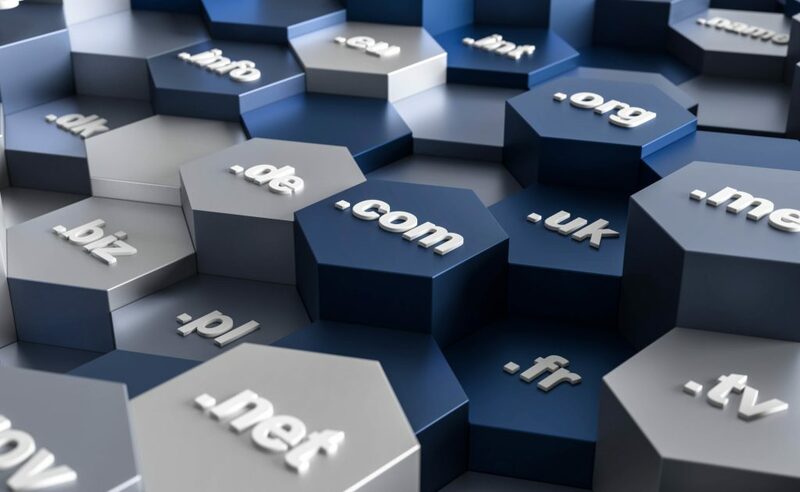 Here are the ways that ensure you’re choosing the right domain name. An effective domain name should be easy to remember. This capitalizes on internet users ability to see your product and retain it for future searches. What makes a memorable domain name? Your domain name should be short and sweet. This means, as a domain creator you should pick a name that is easy to pronounce and crafty enough to stick in a users memory. Make your domain name match your specific service (i.e. Cars.com). Make sure the domain doesn’t overlap with another existing domain name. Double-check your name to make it pronounceable. Pick a domain name that uses clever, memorable phrasing. For instance, if you’re choosing an interior design blog, you want to keep it broad, but no so broad that people confuse your website for a construction company. Likewise, if you make your domain too narrow, then you might miss thousands of potential visitors. When you’re trying to pick an original title, there’s a chance you might steal someone else’s title. To avoid this, try name generators and browsing Google for your ideal name. If you use a name generator – something offered by many hosting companies – you are more likely to avoid copyright. For browsing the web to avoid name overlap, try casting a wide net. Don’t just look up the name of your potential domain but others like it. You may be able to avoid choosing the same name as someone else by adjusting your TLD to a ccTLD. Hyphens are often a sneaky way for domain hackers to steal other people’s ideas. If you choose to use hyphens, most users will immediately assume your business is untrustworthy. When you’re building a website in a different country, your domain name is going to come with a different TLD (top-level domain) or website extension. A TLD is a text that comes after the “dot” of your URL. Each TLD represents a different tier of business and region. Though it may seem straightforward to choose an ending, maybe even arbitrary, it affects the way users perceive your new website. A TLD that’s more recognized will get more views. If you’re choosing a TLD for in Ireland, you don’t have many options, but whatever you choose has a registration count that influences other international users trust of your site. Some higher-ranked TLD’s can result in your website being drowned by other products. If TLD in your region matters so much, how do I decide which to choose, and which is better? The two ruler supremes of domain names complete with a by-region TLD in Ireland are .ie and .irish. Each of these TLD’s tells web users that you’re an Irish-based website. But, each account for a domain hosting service as well. So we’re going to enumerate just how different each one is. .irish is a gTLD (generic top-level domain) that targets Irish web users. It also includes its own domain hosting options. What are .irish advantages? .irish is a full word that clearly indicates that a website is based in Ireland. In other words, .irish is semantically pleasing for web users. Another aspect that .irish has going for it is global Irish appeal. Those that identify strongly with their Irish background may choose this domain to gather more close-knit support. For example, if you’re building a pub website choosing an .irish domain can get you points in Irish circles. Another point for domains under this title are the changes to the IE domain registry: If you’re choosing this TLD, you don’t necessarily have to prove you live in Ireland, which gives you extra flexibility. Of the top websites in Ireland, .ie ranks higher than most, and of the TLD’s associated with Ireland, i.e is the most popular. This says that .ie is the current domain option for Irelanders that is most well known and seen. Therefore, choosing .ie already puts you ahead of your competition in Ireland. Ensures that if you’re building an Irish website, you’re more likely to be seen. Your content is better trusted. Your website can be considered internationally. There are more domain name options available. Marketers are more likely to trust your service. When you choose the .ie extension, your competition is decreased. The fact choosing a region-specific extension evidences this, your content only show to members of that region, and those who choose that extension in their search. That means you can choose a region and your content will apply to users of that region. Choosing this ccTLD can also improve your standing among different website rankers like Alexa. This is useful for improving your SEO for Alexa Toolbar users. It’s also a better way to gain market attention, thus raising your chances of having ads placed or being funded. If you’re choosing a web extension that applies to a specific region you have better odds at SEO on your end, and more trust in users on their behalf. People trust local businesses. If they see an extension from another country, they will be more likely to distrust that service. By choosing a local TLD, you’re picking a domain that removes competition on most search engines and increases approval in local internet users. When choosing a domain that appeals to locals you also get more room for creativity. You can pick services that apply directly to regions with cultures other parts of the world do not. You can also combine this with the strategy of buying multiple extensions. This would allow you to generate many websites that target several regions in Ireland or other parts of the UK. This gives you a broader chance of monopoly among local internet markets. How Do I Decide Between An International Domain Extension And A Local Extension? TLD’s stand for extensions of all varieties across the globe. Most will not limit you to a specific region, which gives you the whole world to work with. But, having one region, as we’ve explored, has huge benefits to SEO and buyer approval. ccTLD’s (country code top-level domains) affect your user base and your overall reach. You’re limited to the region to choose. While a regular TLD gives you full global stretch. But, having the world internet base can be a huge caveat for your business. It can result in having too much competition. For example, if you own a video sharing website and wish to stand securely on the world platform, you’re going against Youtube. A recent study found that over 2/3rd’s of the internet users had visited Youtube in the past week. Now take that statistic and add all the other streaming services across the web: that’s your competition by choosing TLD. If you choose a country code TLD you’re much more likely to become a rising business. Here, in the case of .ie, your standing among the Irish population can rank quite high if you’re just marketing to their browsers. When it comes to the battle between .irish versus .ie, choose .ie if you want a domain that will rise above the rest of Ireland’s websites. This ccTLD is by far the most popular among Irish internet users and encourages your viewers to trust you way more. Wait, there’s more. Now that you know the best extension for your website, it’s important to think about superior web hosting, and how to get your domain the rest of the way. Host.ie can tell you exactly what you need to move forward with your website, and why a proper host can make a world of difference. What are you waiting for? Get out there and make your website a contender with the rest of the internet!